I was trying to solve my swarming problems with “rolling-spider” by voodootikigod. Is it possible that this library doesn’t allow sending combined flight commands (like “up 10, yaw -30, pitch 20”) at the same time? I wanted a more complex movement like it is possible with fetherston’s library but have more then one drone connected for an automated flight. Hi 7pc, did you find the answer to this? I too am trying to do the same thing. I went with Chris’ script instead. Even though due to some over hasty demand for pre series testing by the tech dept we had to stop working on the project. Link to the script in the description. Chris gave some hours during the process to refine his script even more. So for us it worked fine after modding it a little for our special needs. Hi! In the video comment you mention using optical flow and a web camera to avoid collisions. Any more information or links about how that works? It looks promising! Actually I was referring to the camera that Parrot uses. It’s on the bottom side of the drone and according to the specs it does some optical flow (This was what made it useless with video projectors projecting on the ground). Unfortunately we never found a way to access the stream of this camera. Otherwise it would have been possible to use a ground pattern and use it for positioning. Sorry, but as far as I know, avoiding collisions is … not that easy. You can use the Matlab toolbox and edu firmware to program and access downward facing camera. Check our github for more info! Rolling Spider software package for Education. 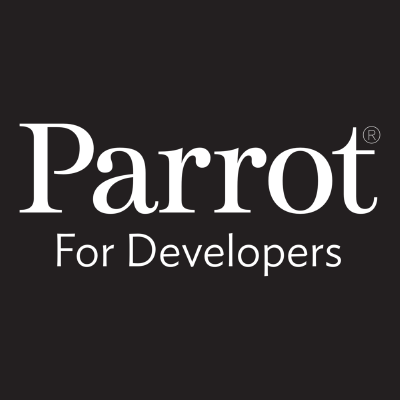 Contribute to Parrot-Developers/RollingSpiderEdu development by creating an account on GitHub.